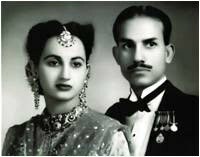 With the demise on 29 May 2011 of Mahmood Ali Khan (MAK) Chaudhry - five months short of his 88th birthday and within hours of his son's arriving at his bedside from abroad - an entire generation of a remarkable Jullunduri Rajput family has passed into eternity. MAK instantly refused a high-level Israeli offer of technical-strategic assistance in exchange for Pakistan's abandonment of the Palestinian cause Second youngest among six brothers and an elder sister - two brothers had died in their teens - Mahmood Ali Khan spent his childhood in Wazirabad, returned to Jullundur upon his father's retirement, went to college in Ludhiana, joined the Army, and when a Captain opted for the Police. He went on to become I.G. East Pakistan in the 1960s, and Director General FIA and Secretary Interior in the 1970s. Like his colleague A.B. Awan, he acquired a reputation for integrity that shone especially brightly in a service where, sadly, the "corrupt cops" of thriller fiction are not the exception but the rule. Ability and honesty were to be found in all his siblings: Safdar Ali Khan served in Egypt in the Army Postal Service in the 1930s, ultimately presiding over Lahore's magnificent GPO on The Mall; Yakub Ali Khan, brilliant young barrister, graced Punjab's High Court in the 1960s and Pakistan's Supreme Court in the 1970s, forfeiting the position of Chief Justice the day he admitted ex-PM Bhutto's case to the apex court; Brigadier Amjad Ali Khan, hero of Chawinda, was decorated on the battlefield with the Hilal-e-Jurat in September 1965; Sajjad Hyder, Ambassador extraordinaire, is remembered with reverence for his admonitory advice against intervention in East Pakistan and involvement in Afghanistan in the 1970s; and Col. Saadat Ali Khan is celebrated in the country's military annals for his courageous contribution to Lahore's salvation on the BRB Canal/Burki front in 1965. His most compelling crusade was to curb the notorious - still sickeningly rampant - practice of "encounter killings" Serving across the length and breadth of Pakistan from Peshawar to Muzaffarabad to Sukkur, MAK Chaudhry has inspired generations of PSP officers. His most compelling crusade was to curb the notorious - still sickeningly rampant - practice of "encounter killings". In the 1950s Mahmood was assigned to Pakistan's High Commission in New Delhi, where by coincidence his brother Sajjad was posted too. In the early 1960s he was seconded to the SEATO Secretariat in Bangkok, where he met his lifelong friend Air Commodore Kamal, and where family history repeated itself when his nephew Rashid and son Moazzam, both economists, were posted to the ILO Regional HQ in the 1980s and 90s. He made his major mark in East Pakistan, by 1970 poised to strike back at decades of arrogant overlordship from military and civilian West Pakistani personnel. MAK Chaudhry, like General Azam Khan and Syed Alamdar Raza, was among the handful of officers who won widespread and lasting admiration and affection. Taken prisoner of war in December 1971, he endured this ordeal gracefully, as did his wife and children. He took equally philosophically his premature retirement by a vengeful General Zia (for being Justice Yakub Ali's brother) in 1977. He returned to Lahore; took up and practiced law; involved himself with the family farm in Burki; and devoted himself to his immediate and extended family and wide circle of friends. As pointed out by I.A. Rehman, his subsequent assignments as Chairman Baitul Maal and Author Police Reform Report were likewise objective-driven and duration-specific. 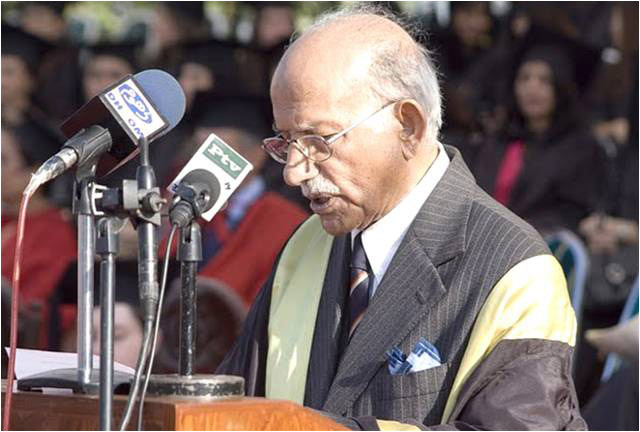 In the 1990s he became Chairman, Board of Governors of the Lahore School of Economics, founded by his nephews Shahid and Rashid Amjad, and till he lived he took an abiding interest in its affairs. Mahmood Ali Khan's experiences made a writer out of him. At the launch of his book 'Reminiscences from Bengal' (it was dedicated to his spouse Suraiya), my mother Ruhafza Hyder, herself a woman of letters, compared him to Hasrat Mohani who had dedicated his exquisite poetry to his wife. His autobiography 'All Those Years' makes is compelling and entertaining. Despite the drama he witnessed in his eventful life, he never lost his sense of humour, and his subtle laughter and suddenly sparkling eyes will be remembered and missed by friends and family. He loved reading, whether fiction from Frederick Forsyth and John le Carre, or memoirs like those of his old friend Gen. A.O. Mitha. He proudly perused articles on a spectrum of subjects by his diplomat nephew Tariq, his eldest granddaughter Maheen, and myself. He was a source of inspiration and encouragement to all us cousins whatever our chosen vocations, whether Khurram in surgery, Yawar in law, Saad in banking, or Saira in academic administration. Both daughters Farrukh and Nafees are educationists. His two younger granddaughters Mehr and Shanzeh are a lawyer in Melbourne and a student at SOAS London respectively. His grandsons Ali and Faisal in their turn are a Fulbright Scholar/environmentalist and a Manchester University media graduate. His first great grandchild, Nael, was born on 17 June 2011. 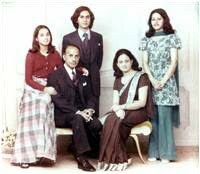 For over a decade after my father's demise in 2000, Mahmood Ali Khan held the position of head of the family with dignity and dedication. My son Alparslan, at the "no respecter of persons" age, had a real rapport with both his Mahmood and Saadat Nanas, and needed no prompting to come to Lahore to pay his respects on their passing away. It was from this Uncle that I listened, rapt, to the dramatic details of my family history: how seven generations ago in Jaipur our Rajput patriarch Bahadur Singh, having angered the Maharaja by his conversion to Islam (becoming Bahadur Ali), migrated with all his family and retinue - plus two baby princes from the palace - from Rajasthan to Punjab, settling down in Jullundur. Like his niece Quratulain Ramdey he took special and sensitive care to absorb far-off and less well-off relatives into his embrace. He was the classic "friend of friends"; he retained his association with even his oldest Wazirabad and Jullundur friends, such as the Bashirs and the Satya Sehgals, who recently visited him and my aunt in Lahore; another good friend being the iconic Syed Babar Ali. Until he was able, Mahmood and Suraiya would come to Islamabad regularly - a special treat for us - to grace the annual POW's reunion. In Burki, where the brothers are still known as "Judge Sahib, Brigadier Sahib, Safeer Sahib, I.G. Sahib and Colonel Sahib", his contribution was characteristically the most philanthropic and progressive. He founded the Sher Ali and Aziz Fatima Trust in our grandparents' names; a school; and a health care centre. He sponsored our neighbour Shafique and siblings for local elections, and directed and supervised the munshis and staff in the most organized, effective fashion. His personal staff was similarly devoted: their longtime chauffeur Zahoor desolately recalled his "22 years' association"; his wife and daughters consider the house their home. No accolade to MAK Chaudhry is complete without an appreciation of Suraiya Mahmood. Like Neelam Saadat, she married into a truly "clannish" (my mother's adjective!) family, with four formidable if caring elder brothers-in-law and their equally established wives. Like Neelam, yet in her own style, she made a place in our hearts and minds. Soft-spoken and sweet-tempered, with a quiet dignity and a complete disregard for her own health, she has a place in her prayers for each member of the family, as attested by her appellation of "Nun" by direct and indirect grandchildren alike, the cynical Alp included. She has been the perfect complement to her husband's professional success and personal popularity.